If you're familiar with Requiem: Memento Mori, you'll be familiar Ragnarok Online 2's new way of keeping your account secure! 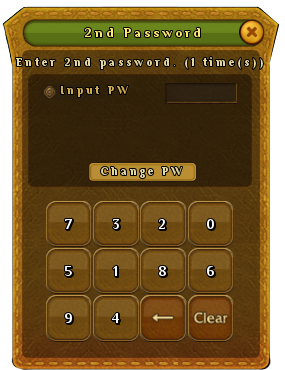 In addition to logging in to your account with your very secure password and account (if you need tips, we have them! ), you'll be using the Pin System! After logging in with your user name and password, on first launch, you'll be prompted to enter a secure Pin Number! Your Pin Number will be four digits long and the position of the numbers will change when you click on each digit. Think of it as your pin number for your bank card: an extra layer of security, just in case. After confirming your Pin Number, you'll be entering this number every time you log in! Be sure to not forget! Of course, you'll be able change it if you forget, but just make sure to not share your account details!